Albert Edward Jackson was born in Christchurch in 1891. He was the third child of Selina May and Frederick William Jackson. Albert, a Coach Smith, worked for his uncle Frederick Burson at Waihaorunga in Waimate District before enlisting for WWI service in May 1916. He embarked on Troop Ship SS Pakeu sailing from Wellington to England on 23 September 1916. Albert embarked with C Company, 17th Reinforcements and was later posted to 2nd Company, 2nd Battalion, Canterbury Regiment. During his service he was promoted from private 31 May 1916 to Corporal on 25 August 1916, then Sergeant on 13 September 1916, but reverted to the rank of Temporary Corporal on posting to "2nd Cant Coy" on 27 November 1916, and finally being relieved and reverted to the ranks on 5 January 1917. 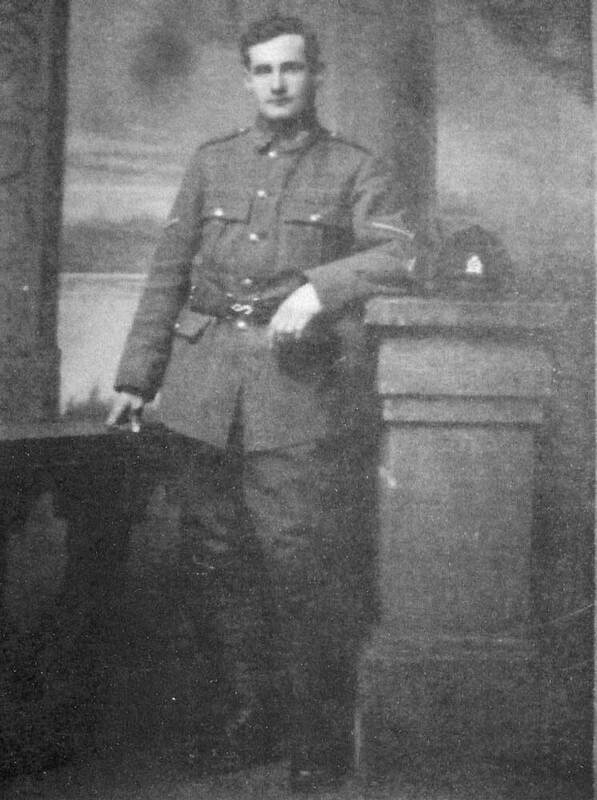 Albert was killed in action on 2 April 1917 after four months war service in France. He was 25 years of age. He is buried at Berks Cemetery in Belgium.